This book might be smack of self promotion because many of the case studies featured are from the agency, WOW Branding. Still it offers plenty of ideas to anyone who's trying to come up with a creative and unique brand for themselves. While the publisher is Rockport, known more for design books, this isn't really a design book at core. It's a naming or branding book, with lots of great examples all well explained in their creative process. 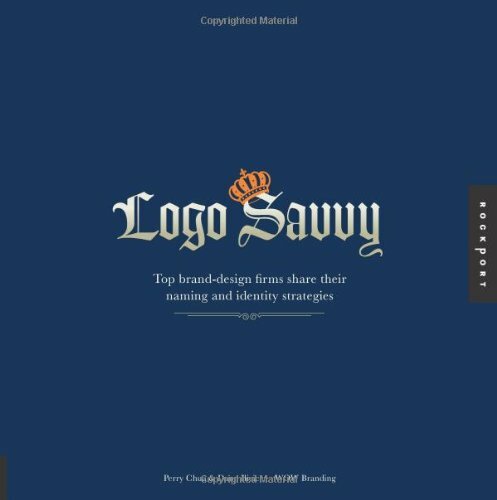 Logo Savvy, by WOW Branding's Perry Chua and Dann Ilicic, explores the belief that the world's strongest brands are much more than just logos. This book showcases some of the best case studies from top branding firms around the world, each sharing their own unique approaches for developing truly distinctive and effective branding systems. Organized into seven naming categories, each case study features full-color photography of the living brand and many include sketches, design concepts, and naming directions that were explored, but were not used. Logo Savvy highlights WOW Branding's proprietary methods used for naming and identity development and includes a selection of worksheets and models to guide you through the branding process. This book is an essential resource — a must-have for any marketing professional, designer, or entrepreneur looking to create brand distinction.